Our customer is a manufacturer of steering columns for the North American Automotive industry. Following design finalization and during initial testing, a binding issue was identified. They needed a solution to correct the issue with minimal cost and no impact or change to mating components. The spring was required to be small to operate in extremely limited space and not exhibit any sound harmonies. The customer had extremely short time constraints to develop a solution. Quantities of steering columns were already assembled and the spring needed to be installed post-assembly and incorporated into new production. 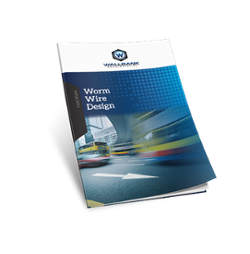 Fill out the form on the right now and download your copy of “Worm Wire Design Case Study” to find out how Wallbank Manufacturing helped our client save hundreds of thousands of dollars they would have spent in redesign costs.